Is your physical activity becoming limited? Does your body have aches and pains that it didn't used to? Do you want to Re-Pattern your body to move and feel better? Click here to sign up for a FREE 30-minute consultation appointment! Please tell me a little about why you might be interested in Hayley Healey Movement Progressions. Thank you for your interest in Hayley Healey Movement Progressions! I will contact you shortly to set up a time that works with your schedule to talk with you about my services and movement re-patterning process. In the mean time if you have any additional questions please do not hesitate to call me at 928.325.0011. ...to facilitate a healing path, by educating and empowering people to feel good and take ownership of their bodies through progressing movement of the body, mind and spirit. The Re-Patterning Method reorganizes the efficiency in the way the body moves, heals and functions. This method utilizes the Body Landmark Method™, Structural Alignment Assessment™, fascial Re-Patterning, and unconscious mind engagement to ultimately balance the joints and effectively realign the body and mind to create a safe and long term adaptation. The first step in the Re-Patterning process is evaluating your movement patterns through the Structural Alignment Assessment™. This assessment is where you will become consciously aware of why and how your body has taken on misalignments and compensation patterns through your daily movement, exercise regimen or injury and stress. Over time, these compensatory movement patterns can and will cause many physiological, biomechanical and psychological disorders such as joint issues, muscle imbalances, fascial restrictions and tightness, guarding, inflammation, chronic pain, arthritis, injury, nerve compression and referred pain. All of these conditions often lead to a decreased quality of life both physically and psychologically. The second step is to implement your Re-Patterning program. Each Re-Patterning program has consistent systems and procedures to re-align. re-connect and re-program the body, mind and spirit to replicate efficiency of movement in and out of the studio. Every Re-Patterning sessions is unique for each person and is based on the assessment findings, goals and desired outcome. Our goal is to shift limiting patterns toward a more balanced, aligned and pain free movement reality. Ultimately, we simply want you to feel good in your body, mind and life. ♦ Unite with the activities that make you happy! ♦ Become aware of the 5-movement segments of your body and where your weak segments are causing you imbalances and pain. ♦ See how your daily movement pattern imbalances create misalignments of your joints causing wear and tear, pain and continual body compensations. ♦ Learn how these dysfunctional movement patterns, stress points, injuries and misalignments will cause fascial restrictions and joints that become fixed, unstable, inflamed, arthritic and painful. 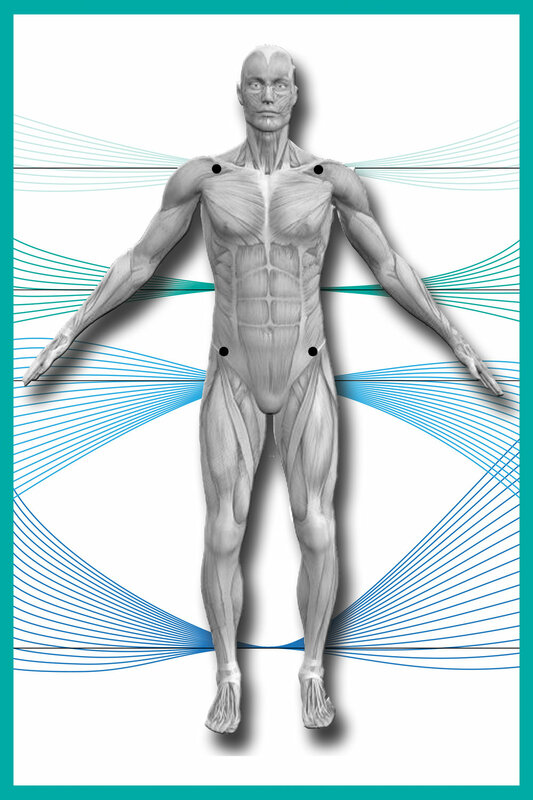 ♦ Discover the path to Re-Pattern your body’s weak segments, fascial restrictions, chronic pain areas, injuries and compensation patterns by incorporating the Body Landmark Method™. ♦ Take ownership of your balanced and pain free body today. Interested in more information from Hayley Healey Movement Progressions? Sign up for additional information by entering your name and email address. You can also always contact me directly at 928.325.0011 or fill out the form above for a free consultation appointment. I want more information please! Please know that I respect your personal privacy and your information will never be shared with a third party. Thank you! You can also contact me directly for a consultation appointment at 928.325.0011.
Business Woman of the Month! Congratulations to Hayley for being The Flagstaff Business News Business Woman of the Month! Her work over the last 20 years, along with the Release of her book Re-Pattern: A neuromuscular re-patterning guide for healing and loving your mindful body, spirit & journey is getting some notice! Are you are interested in your signed copy? Click [HERE] to place your order through this website and receive a signed copy from Hayley. Hayley Healey is the innovator of The Body Landmark Method™ of Neuromuscular Re-Patterning and self healing, which perpetuates consistent, positive change in people’s daily physical activities and emotional state of living. Her method for teaching is rooted in guiding people towards connecting and aligning the mind, body and emotional spirit through her Body Landmark Method™ and Structural Alignment Assessment™ systems. Hayley believes that everything physical, psychological and spiritual shows up in your body. When our bones move habitually in a misalignment pattern, the muscles that move the bones, the soft tissue and fascial system that supports the joint action become imbalanced. Through these imbalances, the force on the joints cause us to move through a path of least resistance, creating wear and tear, restrictions on the joint, and fascial tissue. This further creates muscle guarding, fascial restrictive tightness, posture imbalances, and accumulated stress on the whole system. Eventually the stresses of these repetitive and dysfunctional movements cause our joints to become fixed, unstable, inflamed, arthritic, painful and dissociated from your whole being. Mechanical and emotional alignment breakdown during common and daily repetitive movement patterns will create further compensatory patterns, fascial restrictions, pain, injury and arthritis. These patterns can further effect the quality of our lives by supporting an environment that can perpetuate a sedentary lifestyle, premature aging, depression, disconnection, and a negative state of mind. Ignoring, numbing, and dissociating from painful body parts become a habitual state of living. Compensatory movement patterns become the normal standard, in turn creating weak segments and restrictive communication of your cells in your body. Most importantly, this daily habitual patterning perpetuates a disconnection of ones body parts, as if they no longer belong to the whole being. Pain does not just warn and protect us, but it has the potential to unify our body, mind, and your souls spirit if we begin to listen within it, acknowledge it, let it be and then let it go, to Un-Pattern and Re-Pattern it! Hayley Healey is an industry veteran with over 25 years as an innovator in neuromuscular Re-Patterning methods to achieve measurable and effective change in her client’s daily activities and lives. She incorporates her Structural Alignment Assessment™ and her Body Landmark Method™ with Pilates, CoreAlign and other therapy modalities to facilitate Re-Alignment, Re-Connection and Re-Programming to heal your body mind connection, while progressing movement toward optimal health and wellness. She is the author of the book, Re-Pattern; The Body Landmark Method™, a guide to take ownership of your path to self-healing. Hayley also teaches her method in teacher training courses to instructors around the world. Her education methods for client programming come from a expertise and calling for connecting structural alignment with efficiency of functional movement, resulting in measurable and effective change in activities and lives. Hayley is an industry presenter and her coursework is approved through the Pilates Method Alliance for continuing education credits. Shawn Healey MS, has been in the movement industry for over 25 years, where he has a focus on helping his clients find their optimal health. Whether it be pain elimination, Neural Re-Patterning of the body or mind, or stress and lifestyle enhancement, his approach can get you there. Utilizing the power of the body, the mind, and it’s cumulative intelligence, optimal health is possible. Using Pilates, CoreAlign and Myofascial Repatterning techniques to strengthen and heal the body, while using Neurolinguistic Programming and Time Line Therapy™ techniques to heal the mind, clients will find their ideal and optimal future. Whether the objective is for personal or professional positive change, Dragon KOI Coaching will give you what you need to obtain the exact future that you want. You can create the positive energy and direction that you have been looking for now. 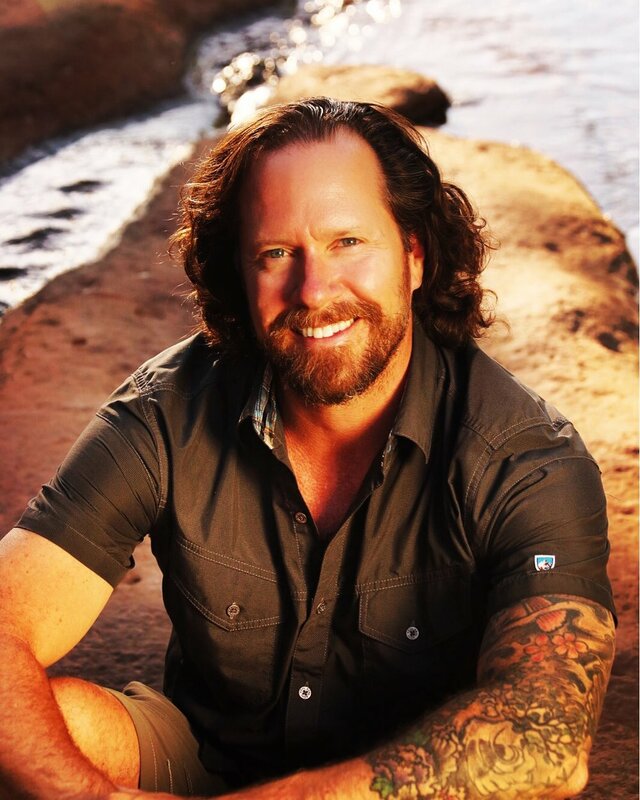 For more information on Shawn Healey and Dragon KOI Coaching, please click [HERE]. Are you coming in to visit Sedona and would like to get a jump start on re-patterning your body? 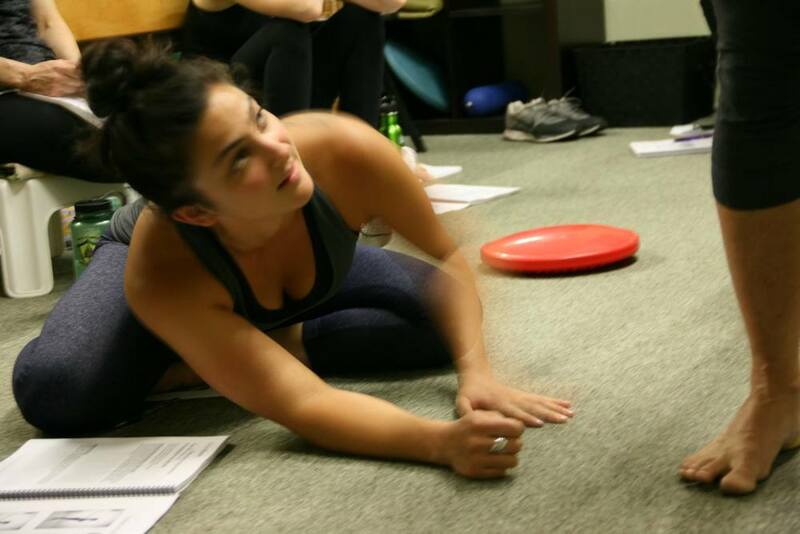 Hayley Healey and her Progressions Method for Neuromuscular Re-Patterning offers a jump start package that includes a Structural Alignment Assessment and two training sessions that will address you patterns and unwind structural dysfunction. Also available are week long intensive trainings that are specially designed for those that are wanting to take their patterning work even deeper. The Progressions Method Training Center located in The Collective Sedona. To reinforce your Neuromuscular Re-Patterning sessions, there are plenty of hikes to enjoy to walk or meditate on the beautiful red rocks. Of course there are many great local restaurants to choose from... You might even choose to make it simple and relax by the pool in the the perfect Sedona sun. In the evening after sunset, you can easily stargaze with Sedona's "dark sky" environment. Use this week to not only Re-Pattern your own body, but also replenish your mind and soul. Please call 928-325-0011 to discuss your custom Neuromuscular Retreat Program Package details. The Progressions Method for Neuromuscular Re-Patterning neurologically re-organizes the efficiency in the way the body moves. This method utilizes the Progressions Body Alignment Landmarks and a science based approach to exercise progression programming to ultimately balance the joints and effectively realign the body to create a safe and long term adaptation. The movement progressions approach to private or group sessions will take your Pilates Reformer teaching to a new level. This progressive sequencing approach has been proven to enhance client adaptation and longevity. Learn and implement this programming method for immediate client success. 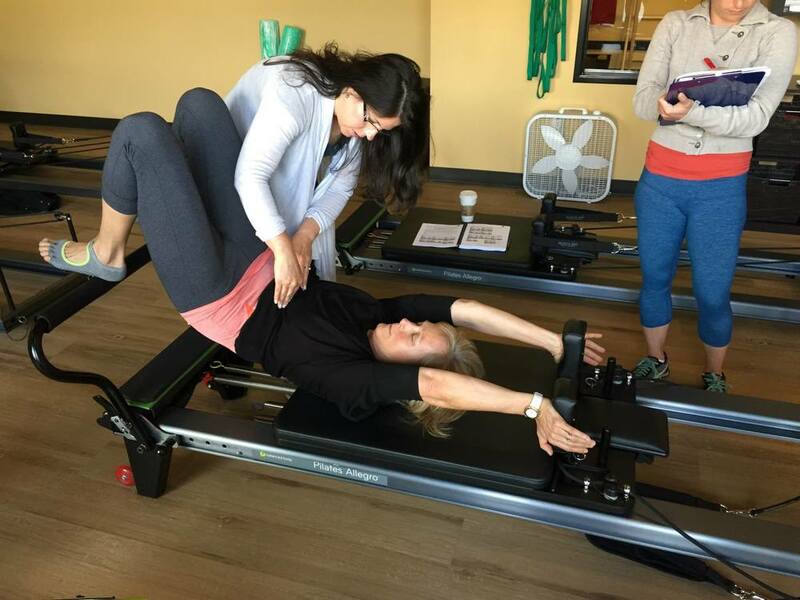 The Progressions Advanced Reformer Course is designed for instructors who teach advanced level Reformer instruction in a private or group setting. This course progresses from the structure of the Reformer Progressions Course and also includes an instructors manual and a Reformer Advanced Progressions ProFlip for easy implementation. The Progressions Cadillac Course is a comprehensive training covering beginner through advanced exercises. This course follows the comprehensive guidelines set forth by the Pilates Method Alliance and includes a 200 page exercise manual. The CoreAlign progressions course will change the way you approach your CoreAlign practice.. The Progressions structure will give a renewed excitement in how individual and class teaching is approached. Learn and implement this programming method for immediate client success. Deepen the way you approach your CoreAlign practice with your clients. The Progressions Advanced CoreAlign Course is designed for instructors who teach advanced level CoreAlign instruction in a private or group setting. This course includes an advanced exercise instructors manual and a CoreAlign advanced progressions ProFlip for easy implementation. The Progressions Structural Alignment Assessment is a 2-day course that is the key for client success and retention. This assessment will create the pathway to successful programming for your clients. By learning to analyze and calculate each of the five body segments in 11 daily movements that comprises the Structural Alignment Assessment, you will maximize the specificity in your programming and positive change in your client’s movement patterns. Developing a baseline by utilizing the Structural Alignment Assessment, will allow you to be able to not only track your programming progress, but be able to clearly communicate these advances to your clients. This Assessment becomes even more powerful when combined with the Progressions Body Landmarks. These tools will give both you and your clients confidence and clarity in their movement re-patterning process. Implementing this analysis and goal setting system will create clients for life! Weekend courses are set throughout the year. These 2-day courses are approved for 16 PMA CECs. Hayley Healey offers individually scheduled teacher training intensives that follow the Progressions Method 16-hour coursework, and can be structured individually or with 2 students. This allows students to have the flexibility to "schedule their own course" on a timeline that works best for them. Scheduling can range from a weekly four-hour block for the more local student to a individualized 2-day course on a weekend that best works for the student(s). This structure will allow a more direct and individualized teaching experience for the student. Hayley Healey Movement Progressions offers limited refunds for students who cancel prior to or during the Program. A $100.00 non-refundable fee is included in your registration fee for any 2-day course. If you cancel fewer than thirty (30) days prior to the start of the course, then within thirty (30) days of receiving your cancellation request, we will refund all monies paid by you to us other than the $100 Deposit and $150 late cancellation fee. Because your attendance would be a deciding factor as to whether the course would run as scheduled, anything less than fifteen (15) days prior to the course date will not receive a refund. In the event of your cancellation as described above, Hayley Healey Movement Education will allow you to transfer any monies paid by you for the cancelled program to any other Hayley Healey Movement Education course for which you qualify, so long as such program is scheduled to commence within one (1) year of the initial cancelled course.